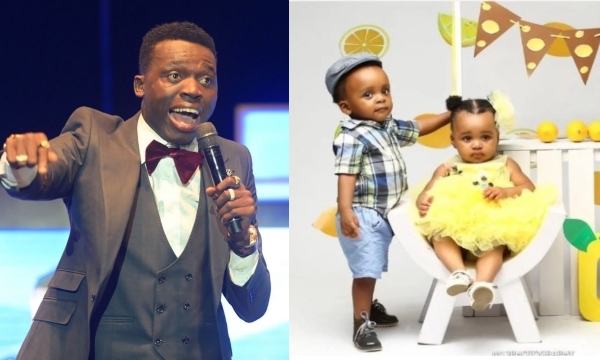 Comedian Akpororo has shared a lovely picture of his twin babies in celebration of their birthday. The twins, a boy and a girl, clocked one today, and the comedian couldn’t keep his cool as he took to social media to express how grateful he is. “can’t keep calm ooo it’s my heartbeats birthday prince FAVOR and princess FAITH. I remember last year when GOD blessed us with you both(just like yesterday) I am so proud to be your DAD. I pray for you both today, you will not know shame, you both will enjoy triple of my grace, you shall not lack, untimely death will not see you, you will do better than your MUM and I, the God I serve will protect you both, as I am serving God Money we serve you guys in JESUS NAME I’ve PRAYED #roronation can you help me celebrate my ibeji”.